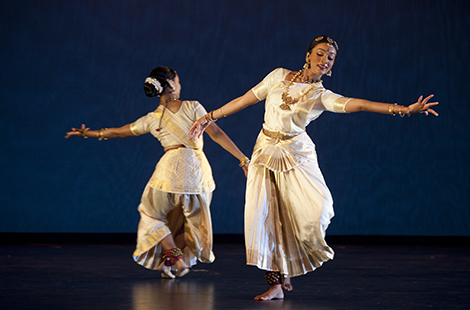 CSUN kinesiology major Tharini Shanmugarajah’s passion for dance will take her to the Kennedy Center in Washington, D.C., where she will join other dancers in a special performance of Indian classical dancing. Read more about the performance. The Institute for Higher Education Policy named CSUN an “Exemplar Institution” at its inaugural Champions of Access and Success Awards, which took place recently at the National Press Club in Washington, D.C. Read more about the award. Just in time for the holidays, CSUN gear — ranging from sweatshirts and T-shirts to license plates and Christmas ornaments — is available for purchase at the Northridge Fashion Center now through Dec. 31. Read more about the gear. Thu., Dec. 12, 7 p.m. Thu., Dec 19, 7 p.m. Junior forward Sagi Lev-Ari has been selected as a semifinalist for the Missouri Athletic Club Hermann Trophy. Lev-Ari is one of 15 players in the running for collegiate soccer’s top award. Members of CSUN’s acclaimed Wind Ensemble gave their audience an afternoon to remember on Sunday, Dec. 8, when they performed a special holiday concert for the inmates at the California Institution for Women in Corona. Alumni and students came together recently to celebrate the founding of CSUN’s groundbreaking Department of Pan African Studies, one of the oldest in the nation.